Surf nomads discovered the perfect surf breaks of the west coast of Nicaragua about 30 years ago. From Playa Colorado to Playa Popoyo, surfers from all over the world have made the Pacific coast of Nicaragua a popular surf destination in the past decade. Some people are concerned that the traditional small farms and fishing villages on these still pristine beaches and hillsides will be overwhelmed by the influx of tourists and unskilled outsiders looking for work–or easy targets for crime. What the locals do not want is to lose their beautiful sandy beaches to gated tourist lodges and luxury homes surrounded by crime, garbage and poverty. In the coastal community of Playa Gigante local residents and two non-profits are working to make sure that it doesn't happen there. There are several community-wide development projects in the works that aim to help the local people adapt to the new tourist economy in a way that is socially, environmentally and economically sustainable. The feeling of the town reminds me of the Hawaiian concept of ‘ohana, in that the small town is like an extended family and that no one should be left behind. The town, at about 450 residents, is small enough that everyone knows everyone else but is big enough to require its own school and a healthy economy to support it's local families. 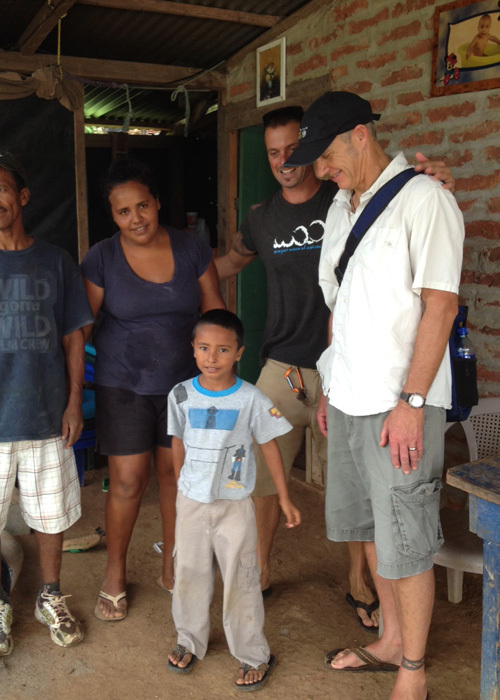 Mark Kirwin, founder of KIRF, came to Playa Gigante as a volunteer field worker for the Ventura Rotary Club to help them with their project assessments of the aid requests to help the local families of Playa Gigante. To read more about the Ventura Rotary Club project, please see the Rotary website post "Three Ventura Rotarians Conclude a Successful Trip to Nicaragua." After meeting with local community leaders and visiting project sites while working for the Ventura Rotary Club in August 2012, Mark realized that his own foundation KIRF could make a difference, too. Mark met with the inspiring founders of two local non-profits in town, the Sweet Water Fund and Project WOO, that are actively working with the town’s leaders to improve education, health services, and create economic opportunities in the surf tourism economy for local families. 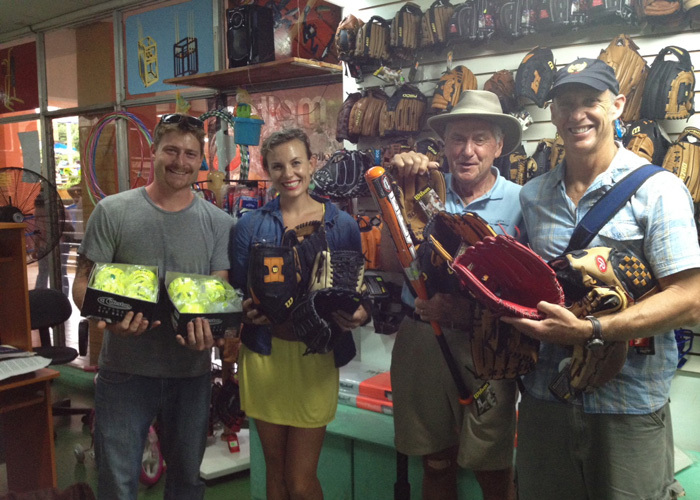 The result of those meetings was KIRF's sponsorship of the Estrellas de Gigante, Playa Gigante's women’s softball team, with its donation of new sports equipment. Baseball is the national sport of Nicaragua and many towns have a local team. Playa Gigante's local women's team has not only been a source of pride for the women, it has strengthened their social ties within the community. The team was also founded as a means of improving local the women's health and fitness. So far, it’s been a great success! Sports equipment purchased by KIRF included new bats, balls, bases and new softball mits for each player including a left-handed mit for a pretty young lefty named Martita. The softball field still needs a lot of work including a "real" dugout and stands for spectators but we hope others will come forward to help out these amazing young ladies and their team soon. To see photos of Playa Gigante's women's softball team with their new sports gear, please checkout the Sweet Water Fund's post "KIRFaid.org outfits the softball girls". We are looking forward to returning to Playa Gigante in December and visiting the inspiring folks at Sweet Water Fund and Project Woo. While there we will assess other needs (such as a well and a health center) and see what more we can do for a community that has been so generous with its natural gifts of smiles, delicious meals, and, of course, those perfect waves.